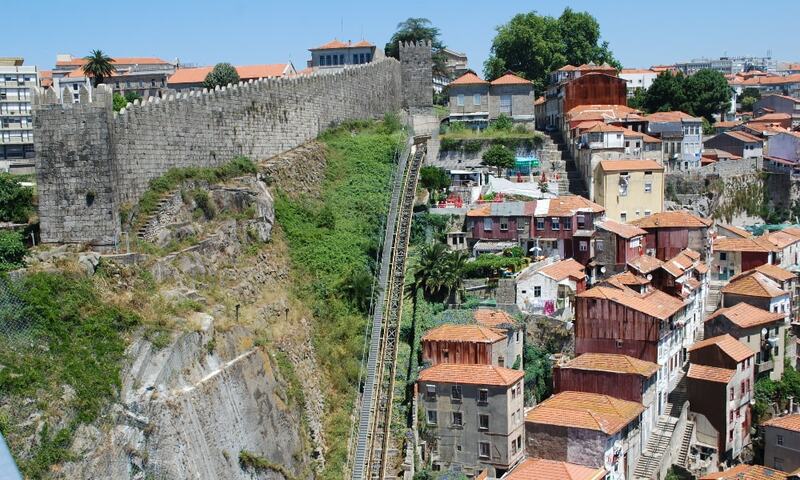 The Walls of D. Fernando or the Fernandina Wall is a medieval castle located in the civil parish of Cedofeita, Santo Ildefonso, Se, Miragaia, Sao Nicolau e Vitoria, in the municipality of Porto. Many of the structures, including walls and towers, are integrated into the buildings of the old town, with the main wall being the Guindais wall and tower, relatively isolated over the margin of the river. The best remaining example of the Fernandino wall fortifications is preserved in the cliffs of Guindais, over the river.